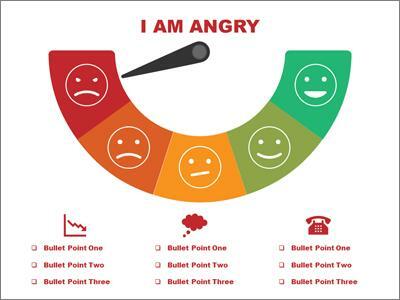 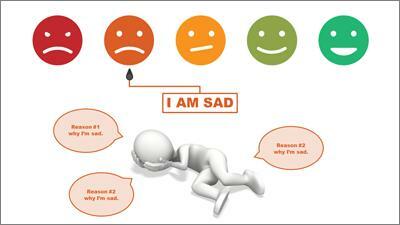 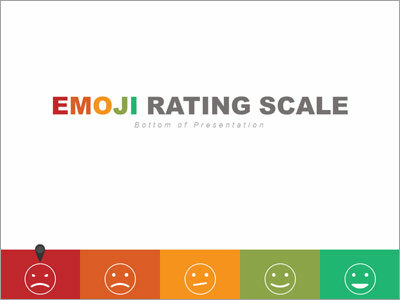 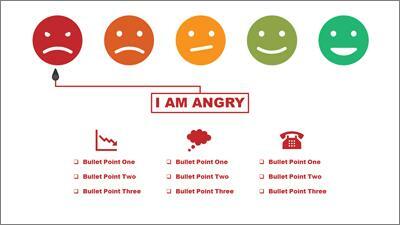 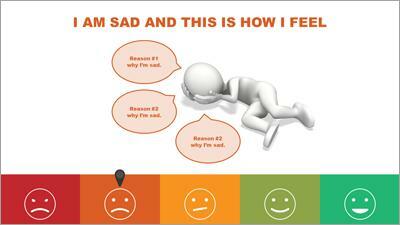 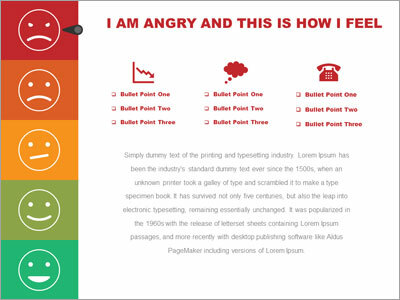 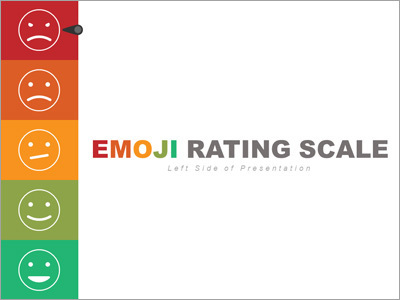 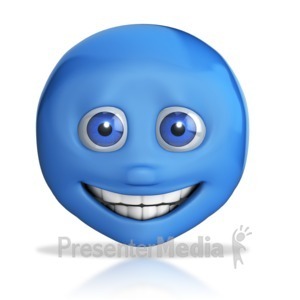 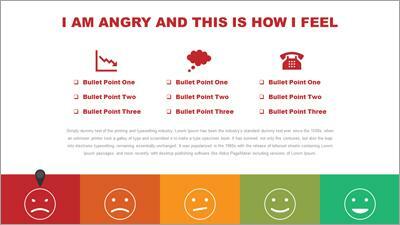 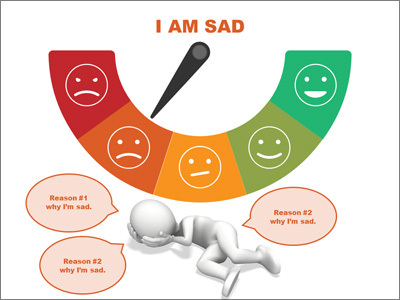 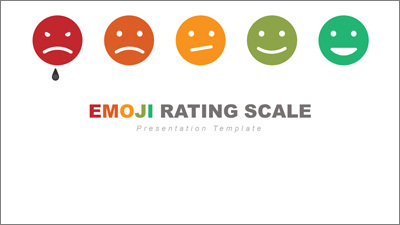 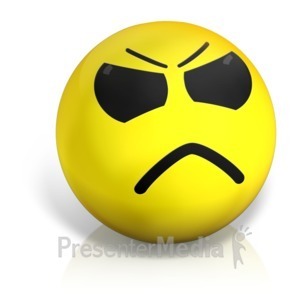 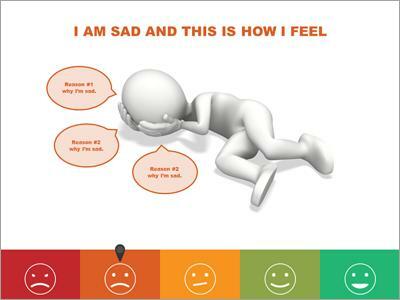 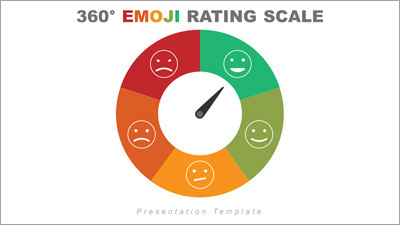 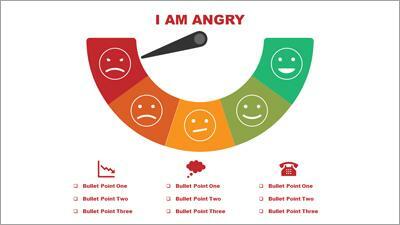 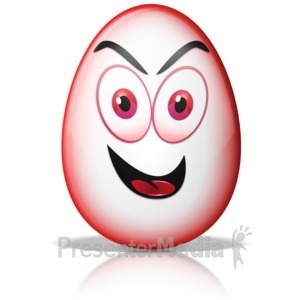 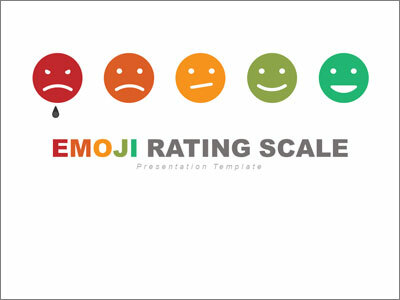 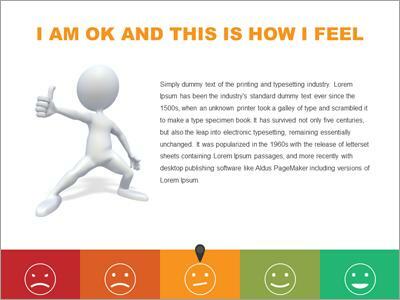 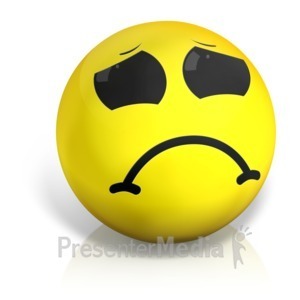 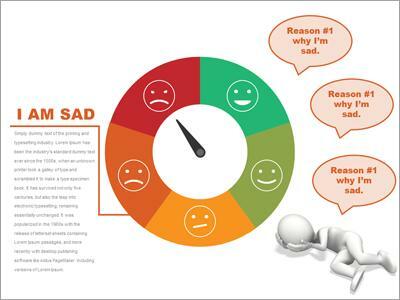 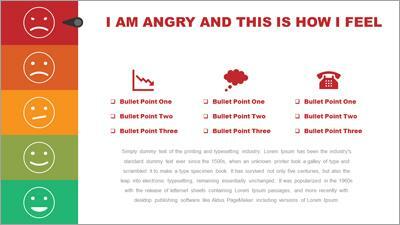 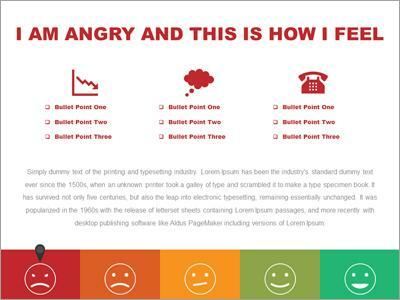 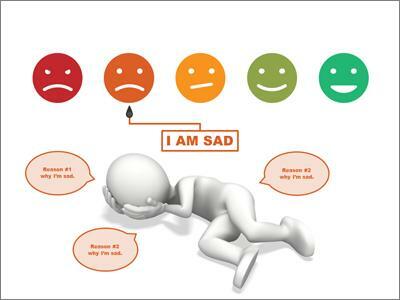 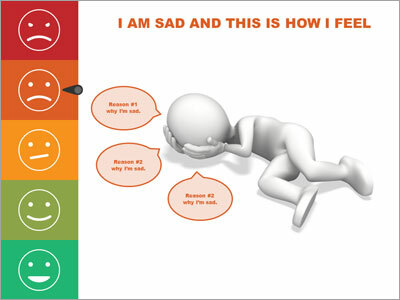 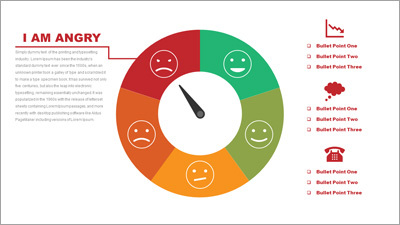 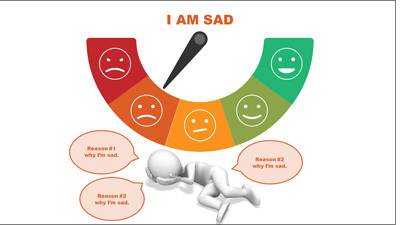 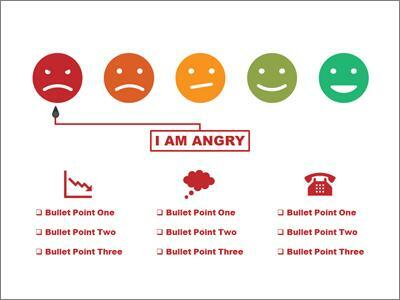 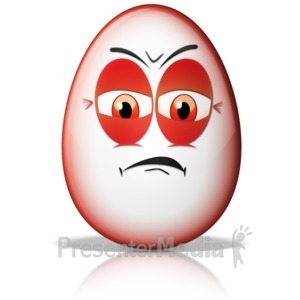 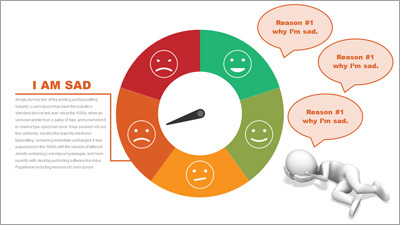 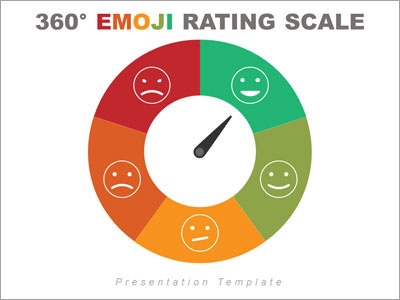 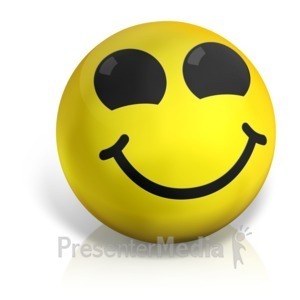 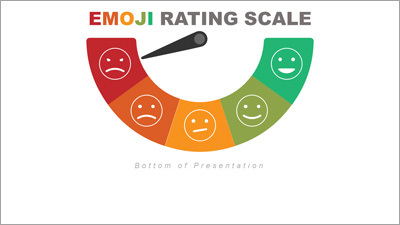 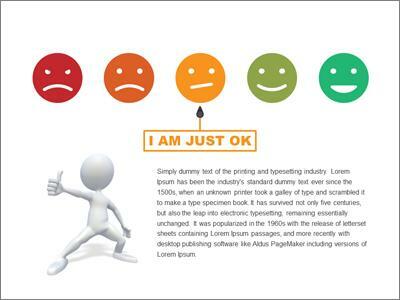 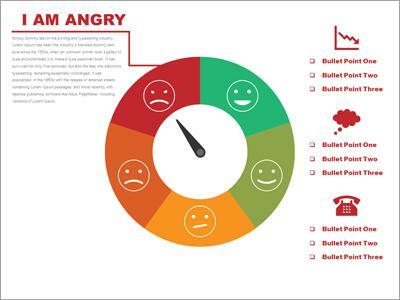 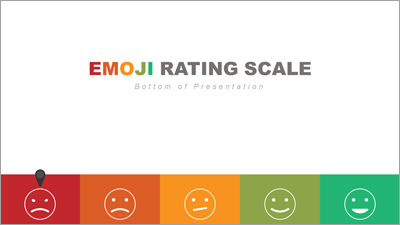 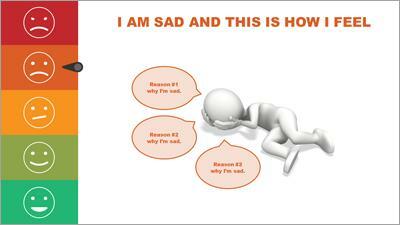 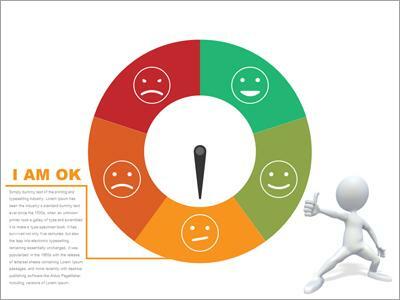 An animated PowerPoint template that shows a 5 scale rating from happy to angry. 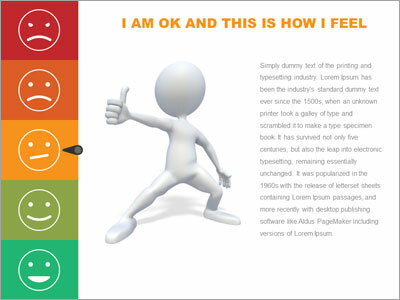 Change out the images and text to fit your needs. 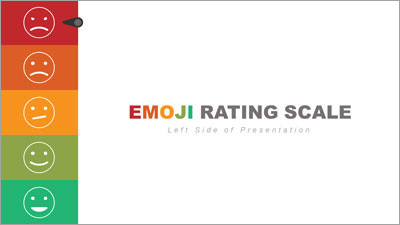 Easily change the colors and make it match your own.